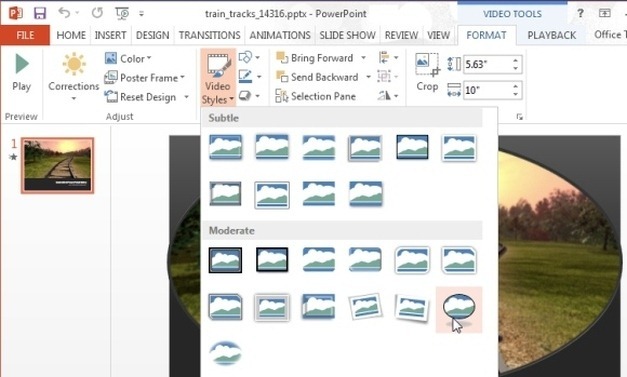 Train Tracks PowerPoint Template is a video background template which provides an editable animation in the form a PowerPoint slide. 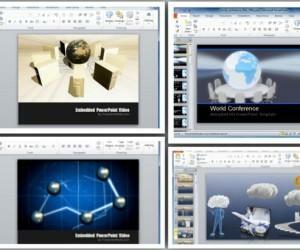 With this template you can create presentations on diverse topics ranging from travel, tourism, to nature, success, etc. 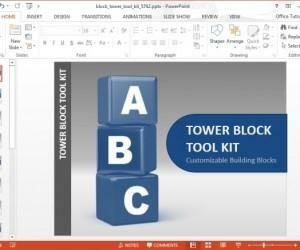 This animated template is highly customizable and there are various methods by which you can customize it for adding your preferred content and to edit the given animation. 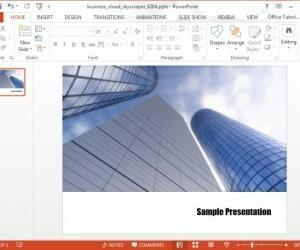 For example, you can make use o the given placeholders to add a logo, title and subtitle; as well as use Ribbon menu tools from within PowerPoint to edit the video. 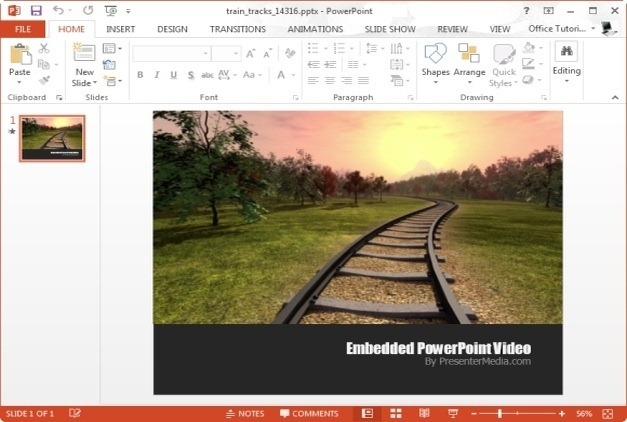 While this animation is also available in standalone video formats, the PPTX version of the video is as good as any PowerPoint slide. 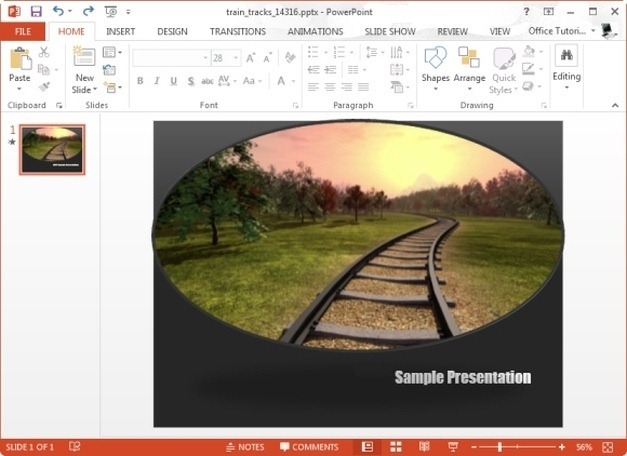 By clicking the animated slide you can bring forth the Video Tools menu in PowerPoint and use the available options to set video styles, crop and edit the animation, add a poster frame, change the color of the animated video slide, etc. 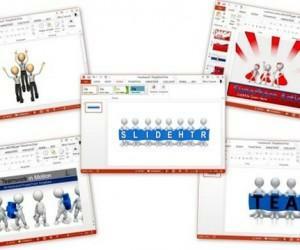 To preview the changes made to your slide, simply run the template in Slide Show mode. 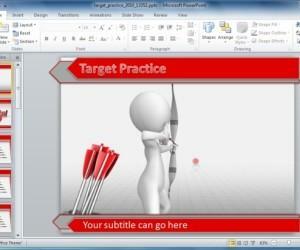 The below image shows an edited version of the template where a frame was added to the video with sample text. 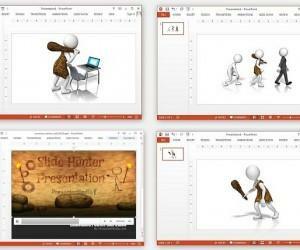 Other than PowerPoint, you can also download a version of this animation in Apple’s QuickTime format or as a Flash or Windows Media Video. The video version of this animation can be edited using a video editing software, uploaded to a blog or mashed with other videos to create custom content for personal, commercial or educational use.